On February 4 Rep. Rosa DeLauro (2nd District) introduced the Food Safety Modernization Act of 2009 in the United States Congress. Forty-one other representatives, including Rep. Joseph Courtney (2nd District) and Christopher Murphy (3rd District) have signed on as co-sponsors of this bill, now also referred to as House Resolution 875. This bill, if passed, would consolidate all of the many federal agencies and offices that regulate and oversee our food supply into a new Food Safety Administration which would be part of the Department of Health and Human Services. The bill has been referred to the House Committee on Agriculture which will hold hearings on it and the House Energy and Commerce Committee which has yet to schedule any hearings on the bill. While very little has been accomplished on this bill since Rep. DeLauro introduced it, there have been many comments on it by many people who are not directly connected with the legislative process. As often happens, some of these comments are now being circulated as facts. Some of the most widely circulated rumors concern local farmers markets and farm stands. They claim that the bill would result in farmers markets and farm stands being regulated, penalized by fines and in some cases ordered to shut down. They also claim that each and every sale would have to be recorded and the records made available to federal inspectors so the food could be traced from the producer to the ultimate retail consumer so that, in case of any disease or sickness resulting from a certain batch of food, everyone who consumed that food could be contacted. The objection is that the record keeping process would be so complex and cumbersome that farmers would shut down their stands rather than deal with the records. According to Rep. DeLauro’s office, there are no such record keeping requirements in the bill. If there were such a requirement, then every grocery store that sells fresh foods would also have to keep detailed records of what was sold to every customer. The bill will be revised many times as it works its way through the Congress and the most likely final result is that the farmers markets will have to keep records of which farmers and other sellers were at their market on each day. Many markets already keep such records for their own purposes. Another rumor is that the bill would require the use of certain chemicals and treated seeds to prevent the transmission of diseases which would have the effect of making it impossible to produce any organic food products. There is nothing in the bill that would interfere with the raising of crops and livestock, under current organic standards. Crops in warehouses might have to be treated to prevent the spread of disease, but this would not affect any products sold by the organic farmer directly to the retail consumer. Most organic products are now sold directly from farmer to consumer because those who want organic products also want to know exactly where and how these products were raised and grown. Other rumors claim the bill will make it illegal to grow your own food in your own garden. These rumors are completely false. The bill will have no effect on crops that never change hands through the market. Rumors are also circulating that the bill will pass Congress “next week” without any debate or amendments. These rumors are also completely false. Like any other legislation, the bill will have to be heard by at least two committees in th House of Representatives and then debated on the floor. Most likely there will be numerous changes from the original bill to the version that is eventually passed. Then the bill will go to the Senate where the hearing and floor debate will be repeated. If the Senate version does not agree exactly with the House version, the bill will have to go to a conference committee composed of members from both the House and the Senate to resolve the differences. It is far too early in the legislative process to say when the bill may be passed by both houses of Congress and sent to the President for signing. It took almost two years to pass the latest version of the farm bill, originally known as the 2007 Farm Bill. The Food Safety and Modernization Act will probably take as long, if not longer, to move through Congress. At present the Grange is monitoring the bill, but has not offered any comments on it. 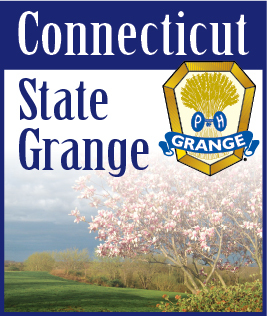 Anyone who feels strongly about any part of the bill should contact their representative’s office to express their feelings, but should do so only as an individual and not as representative of the Grange unless and until your Grange has passed a resolution on this bill.